There’s an old maxim in military affairs: ‘lose moral authority, lose the war’! It’s most often quoted in the context of the conduct of armed forces towards third parties, most notably the civil population living within a theatre of operations. Occasionally, the maxim applies to one’s enemies, who may be spurred to fight on against those they consider to be a morally debased opponent. For example, fighters based in the tribal areas of Afghanistan and Pakistan have been incensed by the use of unmanned drones, which they consider to be the coward’s weapon of choice. However, there’s a further context in which the maxim applies—in relation to the quality of leadership displayed within one’s own ranks. 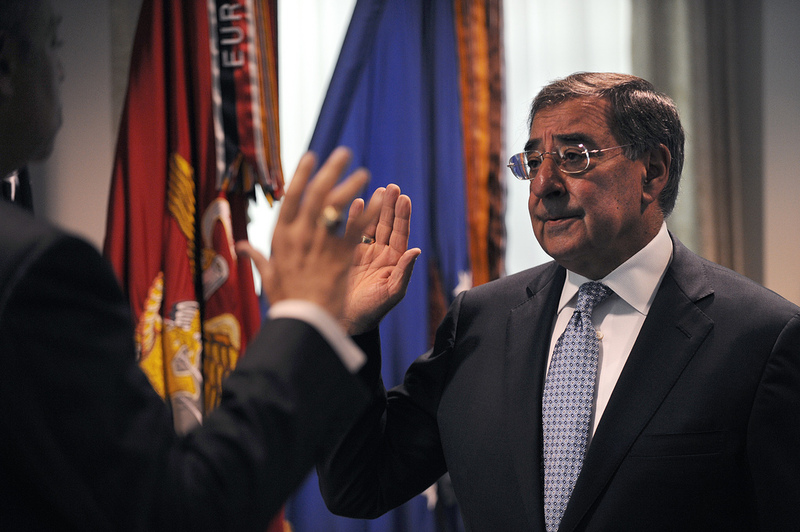 One might suppose that it is with this in mind that US Secretary of Defense, Leon Panetta, has asked the Chairman of the Joint Chiefs of Staff, General Dempsey, to review the quality and character of ethical instruction made available to senior officers—a task given added urgency in the wake of scandal surrounding the recent resignation of David Petraeus as Director of the CIA. 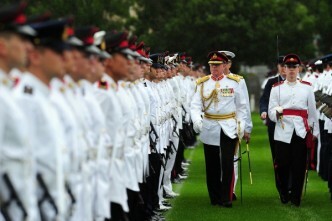 Panetta’s decision might well resonate with those overseeing the military affairs (no pun intended) of other countries. For example, the relevant Australian Defence Force (ADF) doctrine defining leadership (PDF) reads: ‘…the exercise of influence in order to bring about the willing consent of others in the ethical pursuit of missions’ (my emphasis). While many civilian organisations treat ethics as something merely to be ‘bolted on’ to leadership, the ADF defines leadership as an ethical practice. That is, ethics is seen to be intrinsic to the practice of leadership. This isn’t simply because Australian commanders want members of the ADF to maintain a posture of ‘moderate decency’ characteristic of the nation as a whole. Rather, the doctrine is fashioned with a hard, strategic edge, reflective of the maxim quoted at the beginning of this article. In short, there’s just too much strategic risk in unethical conduct of a kind that erodes moral authority at home and abroad. The risks of ethical failure extend to the tactical level. Effective units depend on their leaders offering a shared a sense of purpose and a framework of values and principles that motivate and guide—especially when the best laid plans have lost their coherence in the face of operational realities. However, it’s almost impossible to build and sustain a functional ethos in circumstances in which leaders are thought to be hypocrites. Wherever hypocrisy is perceived, it generates cynicism which, like an acid, eats away at the ties that bind together communities and institutions. Given all of the above, we should hope that Secretary Panetta and General Dempsey don’t fall into the very North American trap of equating ‘ethics’ with compliance. The last thing needed by US senior commanders is a crash course in compliance delivered by lawyers. The greater challenge is to engage the senior ranks of military leadership in reflective practices designed to give consistent, practical effect to the explicit values and principles that should lie at the heart of each individual’s command philosophy. While there’s risk in those who deliberately turn a ‘blind eye’ to wrong-doing, this is relatively minor when compared to incidents of ‘conditioned blindness’—where otherwise good people do bad things because they simply do not see their conduct for what it is. The warning signs are always the same—ask people to tell you why they do what they do and the most common response will be something like: ‘well everyone does it that way’ or ‘that’s just the way we do things around here’. Unthinking custom and practice of this kind is a risk at every level of an organisation, including among those exercising strategic command. The risk is exacerbated with every promotion—which seems to confirm the quality of the individual’s judgement. Next comes power, with its seductive promise that there may be a point beyond which the rules designed for lesser folk no longer apply. It is significant that the Romans ensured that any general granted a triumph would have a slave travel by his side constantly whispering, ‘remember, you art but a man’. Secretary Panetta is right to ask Dempsey to review ethics education (hopefully not ‘training’) for the most senior ranks. If all goes well, the resulting approach will work to reinforce the moral courage of US military leaders and build their capacity to make wise, virtuous and responsible decisions—as a whole—and not simply to comply with a narrow moral code. Dr Simon Longstaff is Executive Director of St James Ethics Centre. 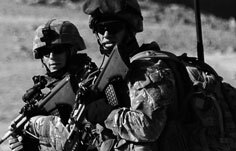 Image courtesy of Flickr user US Department of Defense Current Photos.